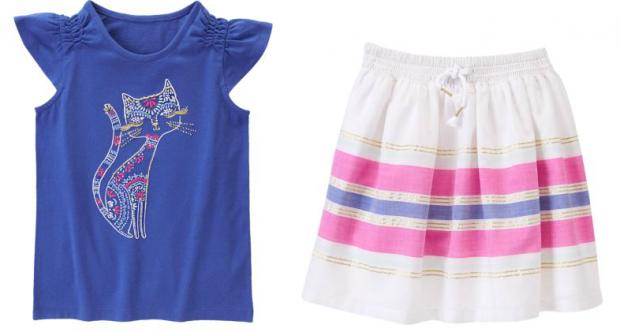 Desert Glam Kitty Tee & Sparkle Striped Skirt Only $12.99 Each At Gymboree! You are here: Home / Great Deals / Desert Glam Kitty Tee & Sparkle Striped Skirt Only $12.99 Each At Gymboree! Lots of great items priced at $12.99 and under at Gymboree! You can get this Desert Glam Kitty Tee for only $12.99 and this Sparkle Striped Skirt for only $12.99! Plenty of accessories to match this outfit and lots of other outfits to choose from!